Paul Margolis first picked up a camera at the age of 9. He is a documentary and fine art photographer, as well as a writer and lecturer. His subjects include people living on the margins of society, vanishing Americana, historic architecture, and the vibrancy of life on the streets. While he has adapted to digital photography, he still works extensively with black and white film, which he hand-processes and prints himself for the classic look that medium gives, as well as for its archival permanence as a historical record. Margolis’ projects have included documenting the small Jewish communities of Cuba and Ireland, as well as Jewish poverty in New York City. After September 11, 2001, he recorded the effects of the destruction of the World Trade Center on New York City. He also did the photography for a historical guidebook to the Lower East Side of Manhattan. 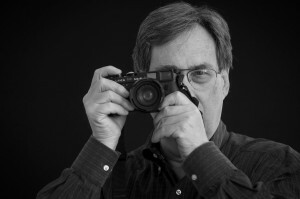 More recently, Margolis has been pursuing a number of ongoing documentary projects: photographing individuals who reenact the wars of the 20th century, traveling to Israel to record everyday life there, and photographing the political demonstrations in New York City that followed the 2016 election. His work has been exhibited in the United States, France and Israel; he has been the subject of a feature TV interview; and he has had extensive press coverage in both American and Israeli publications. Documentary and fine art photography have always been Paul’s first loves; however, his background includes working as an editor, teacher, photojournalist and commercial photographer. Largely self-taught as a photographer, he also has an M.A. degree in Teaching from Fairleigh Dickinson University, and a B.A. in History from Bard College. His work is found in museums, historical archives and private collections. Paul lives in Manhattan and has recently retired from an agency of the City of New York in order to work full-time on his photo-documentary projects.